Bournemouth Jubilee Wheelers will once again be running their popular, long running reliability trial series. The monthly trials, starting with the 50 mile event in November, always provide a good test of rider and machine. Members (First and Second Claim) £1, members of affiliated clubs just £2 per Reliability Trial, non club, non affiliated riders are required to become Associate Members of the Club. Cost is £10* for all four Reliability Trials and all BJW Club Runs & training rides for the year. *To cover third party insurance. You can join on the day. Under 18s should be accompanied by an adult. All BJW reliability trials will start between 08:30-09:30,(except 100m) SIGN ON & GO! From Merley Community Centre BH21 1XE. Successful completion of all 4 BJW Reliability trials entitles the rider to a medal. Bournemouth Jubilee Wheelers winter club run calendar 2016/17. All are welcome to attend Bournemouth Jubilee club runs, meet at Kinson Library or Wimborne on Sunday mornings. (with exception of the Reliability Rides which start at Merley Community Centre). The rides will generally be ~50-70 miles with a cafe stop at the destination. Club runs are not run at race pace, but you do need to be reasonably fit to complete them. You need a robust bike (not expensive) as some of the roads that the club runs use are minor B-roads so mudguards and 25c tyres are recommended in the Winter Months. 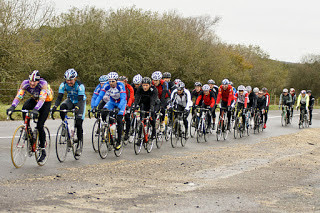 The Bournemouth Jubilee Wheelers also run a fast-paced chaingang ride on Saturday mornings, 09:00 from Hurn Post Office. Thru ‘n Off, a good paced training ride with no stops. Approx 39 miles and a more social Thursday evening ride from Canford Bottom, distance 28 miles lights essential.